I got a 1992 Honda Accord LX and as of recently I've noticed that my dashboard and clock seem to go dim as I brake to a complete hault. I also noticed that my windshield wipers are slower than normal and that my side windows take a while for them to either go up or down. The thing that alarmed me was seeing my rpm meter jitter from 800 rpm to 0 . I've had the battery for about a year and a half so it makes me believe it could be the alternator. bad grounds crusty connectors. get dirty. You are going to need to look at the wiring. I had a similar problem with the speedometer diving to zero while under breaking. I fiddled and repositioned the wire bundle above the left front tire under the hood (easy to get to), and the problem is fixed. This tells me that there was some loose connection or wearing of a wire that needed repositioning to restore necessary contact. Had this problem, Battery was dying out on me and it will only dim during stops and then light up again while driving. "replaced battery and problem stopped"
everyone has a different outtake thought so just follow your advice, I cleaned everything and every possible neg wire under my hood and still the same prob till i changed the battery. ATM351, Do you have an Auto Zone in your area? They do a free battery/starter/alternator diagnostic with a special tool. If you got a cheap battery a year and a half ago, it could be time to replace it, but it is nice to have the extra piece of mind that the alternator and starter are working fine. I would load test the Alternator. Even if the voltage is where it should be when charging does not mean it is good. You have to see what the amperage output is. If this is below spec it will cause these issues. Hi, ive had the same problems also. 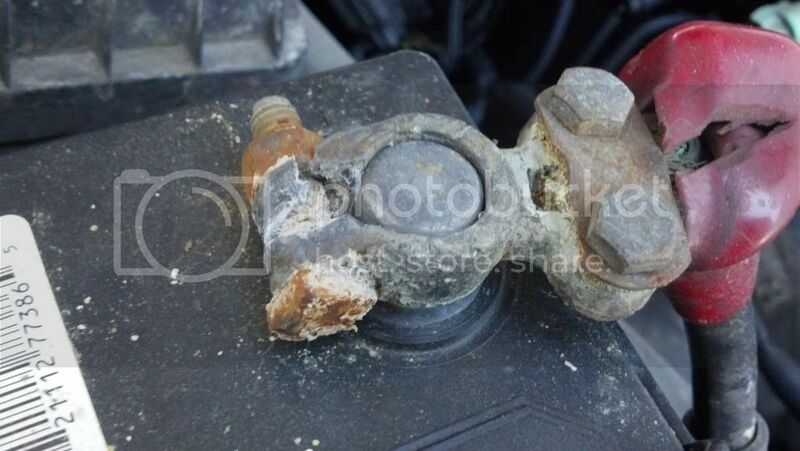 The cause was due to Corrosion on my battery terminals. I live in the NYC are and my CB deals with the harsh unforgiving weather. I noticed also when i pressed my brake pedal the whole dash and whatever lights were on would fade and relight almost instantly. eventually it came to the point where my radio would cut out and reset. 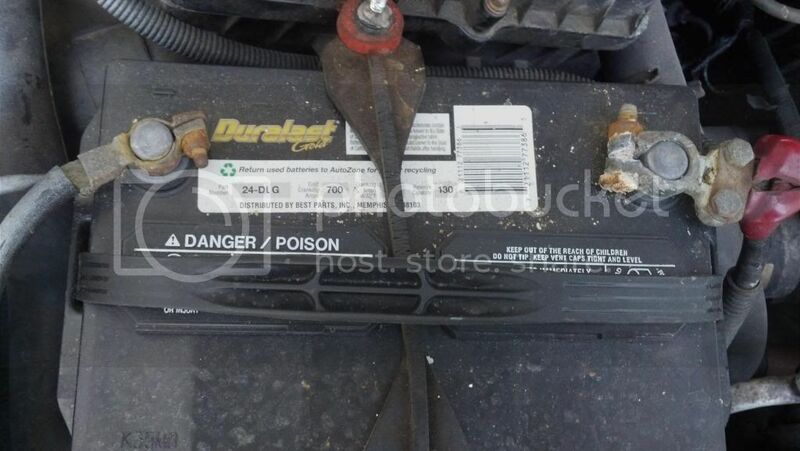 At first i thought it was a battery issue, so i paid for a new battery. But the problem still occured. So me next choice was to change the battery terminals that i suspected were the preblem. As soon as i changed those, that problem never happened again. 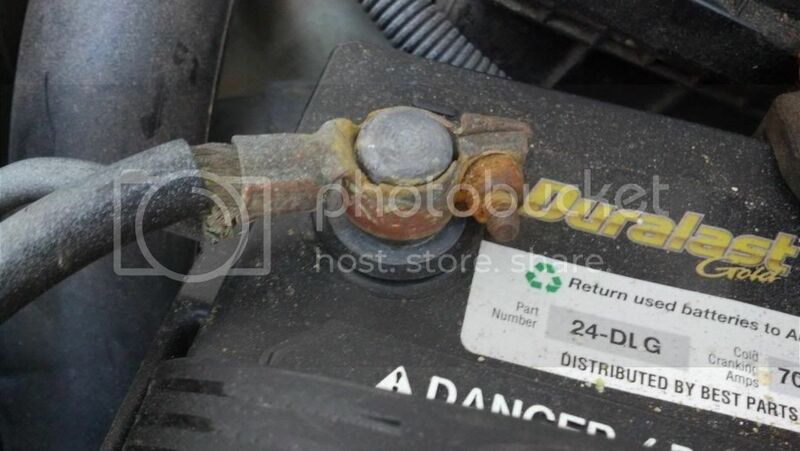 Now if you want to be sure wether or not if its your battery or alternator, simply take a wrench and loosen your terminals and with the terminals still connected but loosened, start the car. When the car starts, siply remove the terminals off of the battery and if the car continues to run, then your alternantor is fine. You might hear a drop in rpm but the car will pick itself back up. This is what my battery looked like. This is my Negative terminal close up. This is my positive. Note the cracking because of the severe corrosion. Also check the engine ground wire near the drivers side mount.